Welcome to another episode of our weekly diary! This week we take a look at a movie that perked a bit of interest on IndiVine, We visit the first IndiBlogger campaigns of the year, Our winners for the all new IndiBlogger fridge magnets are revealed and more! First things first! Happy Makar Sankranti/Pongal and this festival probably marks the last of the mandatory leaves that we will get for a while :-). I couldn’t find too many posts on the subject. So this may be a festival that people are actually celebrating instead of sitting at home and talking about it. I could be wrong but below are a few. 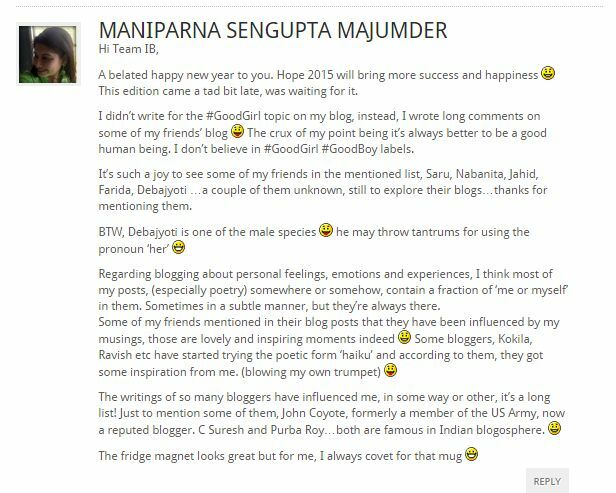 http://aartirathodartandmore.blogspot.in/2015/01/makar-sankranti-pongal-lohri-bhogi-and.html – A write up with the seasons greetings! http://www.assamjournal.com/2012/01/makar-sankranti-festival-in-assam.html – A post from a few years ago on the festival in assam. The IndiBlogger team also decided to meet up during this time and take a break. It was fun meeting everyone after a long while and as we live and work from different locations across India, we always get crazy during these meetings. For example, we decided to play dumb charades but someone wanted to introduce a twist, where you could change or add one word to the existing movie/show and act it out. I expected mild changes with words like “bread”, “Happy” etc, but people just decided to be obscene. Some of the stuff that were thrown in were, “How I met your Mother Fu**er”, “Men Who Stare At Goats Testicles”, at this point Nanny (AKA Nandita Thomas) who heads our finance, was finding things rather embarrassing and to her undying horror she realized that Renie was acting out “Ace Ventura: Pet Molester” , that’s when she started yelling and I quote, “Please don’t do anything to that dog , please don’t! !” :-D. So its back to work again for us, with pay cuts. Vineet and Swati are taking undertaking a 2500 Km bike ride starting with this weekend. We wish them only 5 or 6 breakdowns through their journey and I am pretty sure they cant pack enough underwear on their bike to cover all the ten days, so we expect that they will change every two days if we are lucky. PK goes Bang Bang Boom! The movie PK seems to have created a bit of a wave inside IndiBlogger. I could find many posts on the subject upon browsing through IndiVine. On our Weekly edition #3, we asked a question on the solution to world peace and most of the answers seemed to say that religion played a major role in standing in the way of this progress. This movie seemed to try and make a case towards misdirections that people employ to use religion to their benefit. Some liked it and others had other ideas. For better or for worse, here are some links of blogposts talking about the movie! So my prediction of the first happy hour being an E-commerce site came true! Quikr came and in 4 minutes, left with around a 100 posts. That is so awesome. I had just gone to microwave some coffee and by the time I got back the posts were in the queue! Also dabur is back extending their campaign with a 100 more vouchers. So, that’s sweet. Ganga Bharani recently tweeted that she made around 10,500 through Happy Hour Vouchers. I have sent her my bank details in case she feels generous. How much have you made? I am also making another prediction this week. I see an event on Horizon. I am getting pretty good at this you know. Garnier has also launched their second campaign with IndiBlogger talking about pimples and its solution for it. Three Nexus 6 phones up for grabs! among other things. I actually started getting pimples when an idiot messed up a face scrub at a spa. It burnt my face and its never been the same again since! hmph! 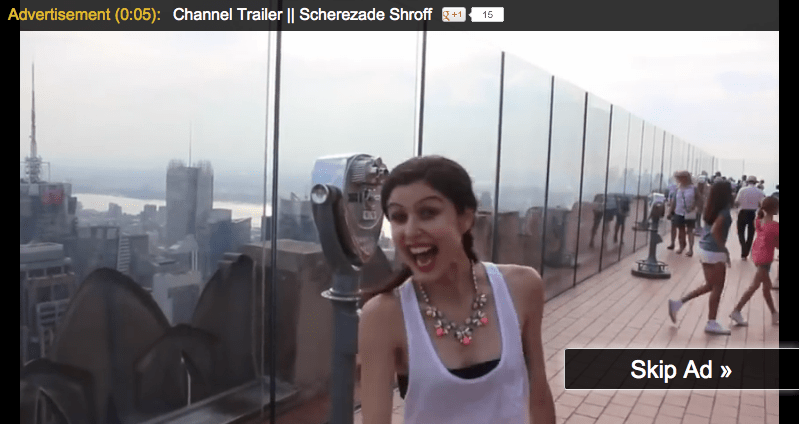 A Blogger, A YouTube Channel and An Advertisement! 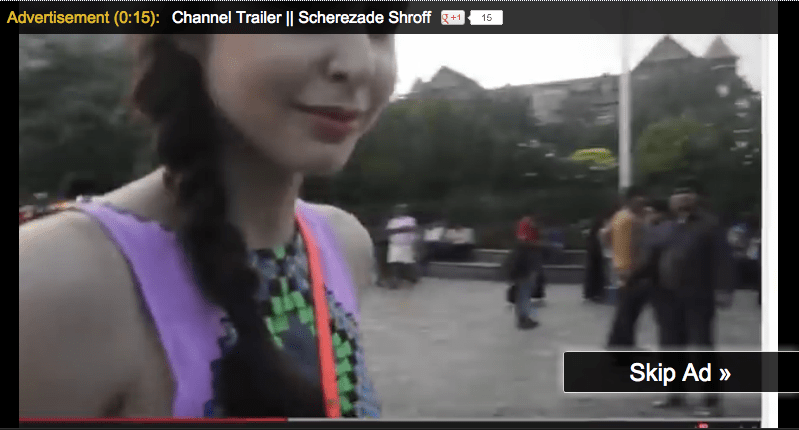 I was pleasantly surprised this week when I saw an Ad of Scherezade Shroff on a random YouTube video that I was watching. No, I wasn’t watching fashion or make up tips :-), I believe I was catching up on some music lists for 2014. When the Ad came on, I kept staring at it and realized that it was Sherry! She has been quite active on IndiBlogger winning a drive with Lewis Hamilton at the vodafone IndiBlogger Speedfest event and she also gave a talk at our IndiBlogger – Big Rock conference last year! Nicely done girl! Super impressed! You will also notice that i didn’t “Skip Ad” :-D.
The winners of last weeks magnets are here! 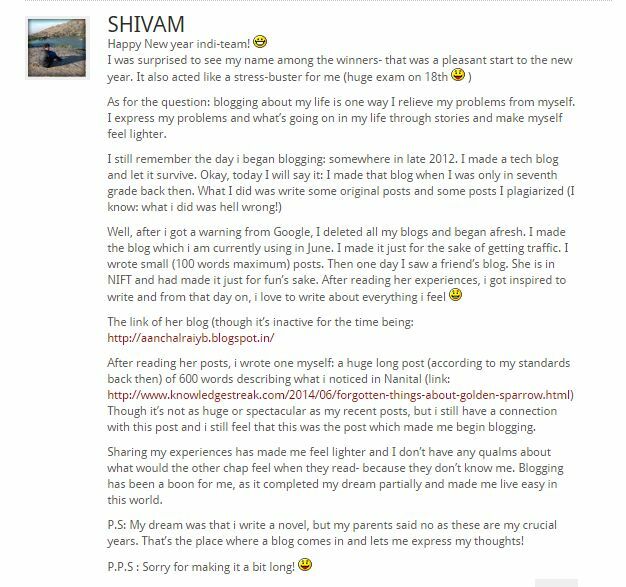 It was interesting to read the comments on how people were effecting lives by blogging. I also had people like Renie who gave me the low down on blogging when created my first blog on Blogger and then on WordPress. I don’t think I could have started blogging without that initial know how and help. I may not have even thought about it! So there you go, The winners! Any topic that provokes a morbid fantasy thought is probably one of my favorite topics to trip on :-D. I love the occult! I remember my grandfather’s collection of Occult books from his days of being a book merchant. I would read them over and over again, look at the details in the pictures and ponder over what could be. I also had decent know how on certain theories of Numerology, star signs etc. I am excited to read up on the entries on the topic during the course of this week. You can submit your entries here! With FaceBook taking the initiative of bringing free internet to the masses, they have successfully launched their dream in Columbia for now. We expect more to follow. The Internet condition in India right now is not that great according to us. All the popular ISP’s seem to offer decent download speeds but dont seem to care about uploads. We feel that this hampers a lot of creative endeavors that people undertake online. So the questions are: Are you happy with the present offerings of the popular ISP’s in India? Do you think curbing uploads is hampering our creative progress and How do you think a country such as India can benefit from FREE Internet! Tell us and you could get your self “Blog Now, Live Forever” Fridge magnets! Thats it for another edition of the IndiBlogger Weekly Diary! We thank you for staying with us and giving us your support. Until next time, may you find what you are blogging for. Good night! Thanks a lot. Was waiting eagerly for the announcements of the results. I have still not received the much-awaited fridge magnet!! Thanks any way for selecting me and believe me, I am really waiting eagerly for the prize. Haha… And I write this comment as I wait for one bike to get done at a mechanic’s off the highway.. somewhere in Gujarat. And now you know why I hate, hate, hate candid shots! Yay!Won myself a fridge magnet:)Thanks Thanks Thanks team IB:* Much love,and till laddoos too! About this weeks question,yes!Yes,curbing uploads is hampering creativity,big time!A nation like India,with so much energy,with so many kids coming up with innovative ideas by the truckload,will surely benefit a lot from even decent internet speeds for each and everyone.Leave “good” speed,lets atleast get decent ones for every internet user out here! Great to see this week’s diary. I am not able to guess what Nihal is doing and which movie he is expressing. if internet is made free of cost, then we can really get huge benefits from it. First of all, all can avail online services that government offers (govt. services really needs to be accessed by most of the population and not just by the people who can afford an ISP connection). If more and more people start accessing the online services, government will definitely make most of the services via online portals which in turn improve the transparency and make the things accountable as well as speedy. Students will benefit from seamless knowledge available in the internet which will in turn enhance the skill level of our young generation. I can keep on writing the benefits and it won’t end. So in the end I want to conclude that making internet usage free will curb our nation’s corruption and will play a major role in employment too. Hey Ashis, I guess education will be on a different level if free internet is provided.. nice point. Awesomeness continues with the new edition…..
You are always good at guess, no doubt. Nihal could be depicting the dance of Huma kureishi in Gangs of wasseypur on the Song- Taar bijli se patle hamare piya……. Many are victim of the same. Free internet in India will certainly create effective changes. Conspiracy in official works, decrease in corruption, easy life are some of predicted benefits that India will get. It could be a problem. Internet.org by Facebook is a great initiative but how will one know if they will offer great uploading speed? I will share something about my net: while using sites by Google, it somehow breaks a barrier in speed. My pack is 512 kbps and when i use any google product, like youtube, i can run it without any buffering in 1080p hd. It’s not possible in any normal 512 kbps plan. When i was downloading chrome, i got a download speed of 5 mbps. That’s also impossible. When i download something else- i get around 50 kbps. So, uploading is okay-ish for me. Uploading on sites that are not by google can be a bit pain, but for google sites, it’s a charm. Internet.org will be a great push for the country as it will give the needy people access to internet. Other than that, i don’t feel any more benefits. India is world’s second largest population, and a sector where growth is increasing exponentially. To provide the world’s second most populous country with abundance of resources would mean a growth in terms of even larger exponent, and that is not only benefit as for our nation but also globally. However, the current positioning of ISPs in our country seems to lack an overall experience of providing internet. It was 4 months ago that I changed my internet connection to static ip in regards to CCTV connected in my house, but what also excited me was the fact that there was no limit of usage after I changed it to static Ip. I still sometime crave for speed though times have been better. (Only happiness: NO missing of happy hour at least :P). Anyways, but I have seen worst of the scenarios with MTNL broadband, some horrifying Tikona connection. So, the major problem arrives with the fact that if ISPs cannot provide it to the ones who can afford such schemes, then how would they implement on free internet? But then again, we have been taught to undertake the journey even if we cant see the destination. So they should at-least give in to the tide, and see how well things go. Honey we are governed by freeloaders who can only think of downloading Uploading requires matter to off load!! which our dear “intellectuals in the government” don’t credit us with. oh ps,I thought and I thought some more,and Nihal’s moves felt a bit familiar.I get it I get it.He is doing the “Exercise” routine from “Prem Aggan”! >_< Its close enough! Ha ha the excercise routine is close enough! We Indians love the word FREE ! and if the second word is Internet then its like Sone pe Suhaga ! The number of internet users in India is increasing day by day and if made free then we can become worlds highest internet user nation. The only condition I will like for the free internet is good uploading and downloading speed. If high speed internet is given free in India there will be drastic change in Literacy, Financial and Health conditions of people. I still remember we have to travel about 150 Km’s just to book a train ticket. 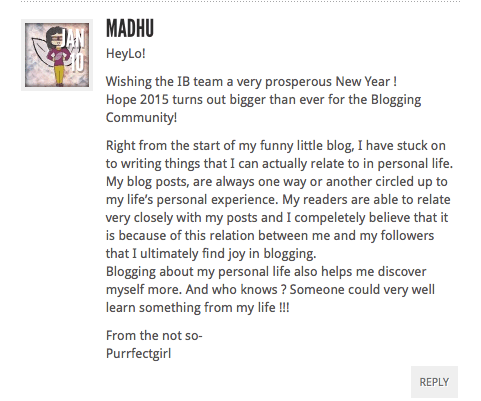 Hope this dream come true and we can blog anytime and from any where !!! Movies like PK and OMG are really eye openers. More such films are needed to unmask the society. Well, I don’t want to disclose how much I’ve earned from the HH 😛 I’ve missed quite a few of them though but they’re exciting. Occult Science and Numerology, I’ve great interest in them as they reveal a new world to us with all the hidden meanings etc. Free internet though sounds excellent, but I think no good thing comes at free. But I would like to be wrong specifically in this case. Hey Maniparna, LOL on the Harry potter and the dancing hollows! .. Will use that next time we play! :-D..
Yea free Internet looks like a distant dream .. but not impossible I guess.. Maybe a change of heart will do the trick perhaps..
Free internet sounds fantastic. And you are right that limited uploads are curbing creativity. But the downside of free internet would be a nation that is perpetually attached to their smartphones. That worries me. Good luck to Vineet and Swati for their trip. As per this week’s question, Am I happy with the present offerings of the popular ISP’s in India? Not at all. I have tried BSNL Broadband, Tikona, Hathaway, ACT, YOU, Airtel, Reliance Broadband, and many more with worse results, download speeds (forget upload speed), after sales services and that too I paid generous amounts for each one of those! Since I am a gamer and I don’t like to compromise the internet connection I take, and all of these popular providers have upset me. Some are always down, some provide speeds of 512 kbps on a 5 Mbps connection, some have agents charging varying connection rates in the same area and no standardized company rate, some don’t care at all after they get their first-time money. They’ve one thing in common though, none pay back the refundable money they charge at the beginning. I’m frustrated by the internet scenario in India, that too, in a city like Bangalore which is dubbed as the IT city of India! It’s unacceptable. The only reliable affordable internet connections I have seen are from tiny ISPs who are in nascent stages of their companies like Gatik Broadband or else it is really expensive Airtel 4G packs with only a Datalimit of 3 Gb. Bye bye MMORPGS. Sigh! I don’t really think FREE internet is a near dream for India (at least) when they are not providing value for the huge subscriptions of PAID internet. And what good is FREE internet which takes 10 mins to load this very blog-page over as tiny as a 3 inch mobile screen and with the amount of internet users from India presently, the FREE internet (if implemented) will be like always down; with hundreds of people using the limited bandwidth in an area. So at present my 5 cents is that first improve the services of present ISPs and paid internet then we can think/believe in a dream of FREE internet for all. Sorry for the length of the comment, I didn’t even realize and all the frustration was venting out of me. I too have realized that in Bangalore it is the smaller houses who are giving better schemes but if its from their service point of view or just fighting to stay alive .. I am not sure.. Sadly, those smaller companies provide services only in like 2% of Bangalore and not in my area, so it’s like they are non-existent. Anyways, this follow up comment is about a paragraph which got skipped by mistakenly by me in the previous comment. A bit on technical side of this blog. I have noticed that I am subscribed to all kinds of IB updates through email and yes ‘indi@indiblogger.in’ is added in my list of contacts in my mailbox. Still by the time I receive any updates about any new event/contest/weekly-diary/anything already days would have passed since those started and very painfully like this way I missed all the Happy Hours contests (Except one). It’d be awesome if this process speeds up a bit. Also, regarding the awesome replies you give to all our comments here individually, it doesn’t sends me a notification so that I know immediately that you’ve replied. There is no option to Subscribe to the follow-up comments. I only come to know of it when I manually come on this site to check if you’ve left a reply to my comment. While I’m at it, it’d also be great if we get a text formatting panel attached in this comment box just like we’ve in the Forums (WordPress has that feature since I see this website is powered by WordPress) so that you know I can italicize or bold out or choose emotes, etc. IB weekly diary is coming out extraordinarily well and I am having great time reading them!!! I have made some good money through happyhours. But I am too disappointed that IB held a contest on new year’s eve and people like me (who were forced to go out with family and friends) celebrated new year on a sad note. When I woke up in the morning new year didn’t seem so well. Weep weep. And I cried even more when I lost quickr one too. Two in a row. Looks like 2015 is not treating me well!! Hey Shruthi, Hey thanks so much! OK where to start from, Had fun reading this Weekly Diary. Knowing fellow bloggers are doing so great is encouraging! Ok now the Dumb Charades…Lucky, Team Indiblogger..I envy you 😛 Always you seem to have so much fun. Secondly, I will make sure I switch off automatic download in whatsapp, with all the crap people send me! It will take me ages to delete the auto-downloaded content! On a serious note, yes I myself have thought of making so many videos & many ideas noted down. But, the first time I tried uploading a video. It my college fest and I went crazy that day waiting the 10min video to get uploaded for 3 hours, so since then I have never tried again “Uploading”. The uploads are my biggest problems as well. For example, when you look at video product reviews and unboxings, very few Indians do it apart from the odd shampoo and make up. hmm somethings not right ..
Don’t say anything about Cosmetics Video reviews…we may get a few for Garnier! I think ISP’s interfering with the mode or content of data delivery is very unfair. We pay for data and we should be able to decide what kind of trade off we want in our internet speeds. A lot of people do share a lot of love via torrents. Also there is no greater killjoy when the page gets stuck when you are uploading heavy pics after a heavy trek/trip on your blog. Glad to learn that IndiBlogger is growing in honor. I feel you guys deserve all this for the efforts you guys have put in building a platform for Indian bloggers, where each one of us are provided with equal opportunities. 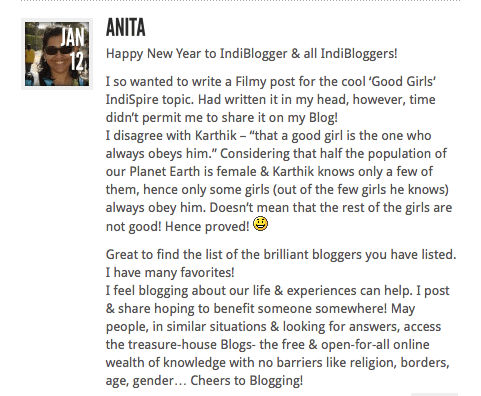 I am new to IndiBlogger and this is my first Indi Diary and I enjoyed it. As for the question asked about FREE Internet in India, it will be a good initiative for everyone of us, as we can start new campaigns on Learning and Education in remote areas where Education for people is inaccessible or not provided. Also, this way people from different regions of the country will be connected to each other and this will foster brotherhood. Girls from families with rigid ideology can also learn and grow by studying at home and won’t be restricted from education. GPS technology will also flourish with Free Internet as it will be useful when trying to locate remote places or far away areas. If we can, we can really try and use Internet as a tool for the development of the Country. Only if obscene articles or ideas will be restricted to access will be an added advantage as it will only lead to satanic thoughts. Also, children below 18 shouldn’t be allowed to use too much of Internet as it will affect their studies and isn’t appropriate for them to use it more than required! Glad you brought up the fact that awareness among women in rural areas would improve. Thanks again and do check back here next week! Thanks. Thanks! Looking forward to receive my “Blog Now, Live Forever” Fridge magnet! Nihal is at his best, I think he is excited after receiving a Hair Spa voucher from Indiblogger 😛 ( Just Kidding). Well Internet speeds in India is pathetic to be very honest, as we pay thousands of bucks every year and what we get in return is equivalent to zero,to download a 700mb file with 1mbps d/w speed it takes almost 5hrs which is irritate us alot. Upload speed offered by ISP’s in India is like drinking Miller while paying for Grey Goose. These companies need to increase their upload speed to a standard where a user can get his work done in time. I still remember that I had to wait 4hrs to get a video file worth 122mb to get uploaded on Youtube.Free internet would actually benefit India and especially the youth. Free wifi’s across India would help everyone to stay online and receive important messages getting delivered on time and much more.Every individual would be productive and would indirectly help in India’s development. Now I need to pen down a blogpost to express my views further ! Hey jigish, LOL you will realize the significance of your SPA statement. He just cut his hair!!! Coming to PK reviews, you forgot to include my sweet review of PK! Answer to internet issue: As my ISP gives 24*7 broadband, with few outages in between, I’m good with it. For my needs, uploads are fine. Yet for say a designer, professional photographer etc. uploads may run out. So, definitely faster continuous uploads are needed. Free internet will be a big boon, provided all people are also computer literate or feel comfortable accessing data on mobile phones. Else real benefits of ‘Digital India’ cannot percolate. Also, digital content to be made available in all regional languages is a necessary supplement with free internet, to reap best benefits for India’s development and bridging digital divide. Will add your review of PK to the post! I so wanna have a magnet!! Btw – What Nihal is doing is “Bhaag Dhanoo, aaj teri Basanti ki izzat ka sawal hai”! If India had unlimited free Internet, I could watch some TV Shows and Movies directly from the Internet. I could even make a few short films! First I ll confess something that I am reading the weekly diary for the first time completely. First time I read, I could not make the head and tail out of it 😛 ..my bad. Now when I read, I just cant stop praising this new thing introduced by you, it really seem interesting. Free Internet will be really helpful, be it w.r.t. education, career or fun purposes”. The places and for the under privileged people specially who can’t pay for the internet it will be boon. They can become not only tech savvy but can get education via internet too. It will also help curbing unemployment, will open doors to e-business and yes without doubt system will become more transparent. For the fun part, piracy will go down and you can watch and listen to songs, movies etc without paying helluva of money.